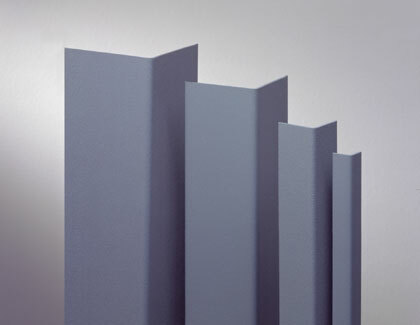 Surface-mounted vinyl corner guards offer cost-effective protection for existing facilities, easy installation and a wide variety of styles and materials to meet virtually any requirement. They offer a Class A fire rating, are chemical and stain resistant. Angles: 90° standard. 135° also available, inquire for pricing. Lengths: 4' and 8' standard lengths. 12' also available, inquire for pricing. Please note, 12' vinyl corner guards must ship by freight, they cannot be shipped by UPS or FedEx Ground. Must ship freight due to length ($150+ shipping cost). Minimum order charge of $30 on all orders under $1000 material cost. Available in 4' or 8'. Minimum run of 5000 ln. ft.
Additional fees apply for color matching and start up.